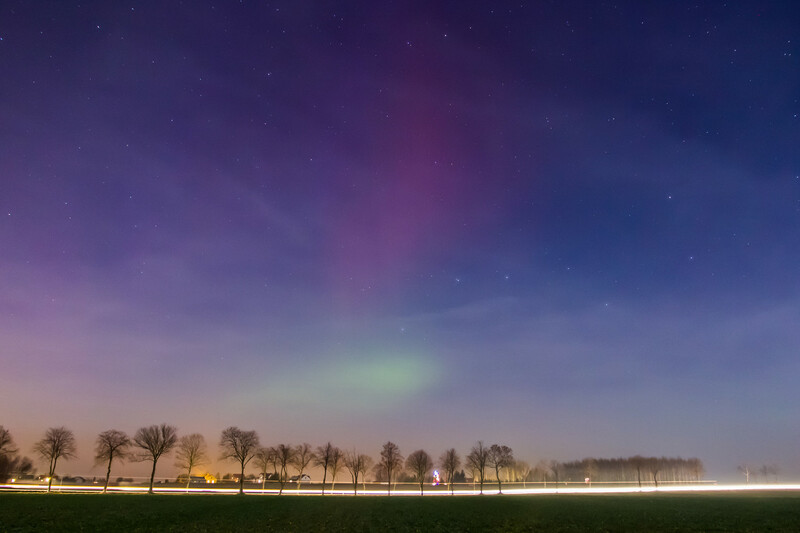 Another auroral propagation appeared on December 20. I don’t really remember, but it was probably third or even fourth big show of such nature this year. Aurora happens usually during the months around the equinoxes, so nice to observe it in late December. In the afternoon I noticed some distorted stations fading in and out. Stronger signals flooded entire CCIR band around 16 UTC. I quickly identified SR P1 on 89,4 with their „bell” jingle and many other frequencies of P1. Norway was also here with 88.7 NRK P1 (//web). The signal levels have increased even more, so I decided to grab a camera and try to take a photo. Yesterday I noticed a very weak station on 91.2 and after a while I realised it is a Swedish voice. However the antenna direction was wrong, it was heading Lithuania, Latvia and Estonia. Well… everything was clear – finally first reception via auroral propagation for me! The best signal strength was around 16 UTC with an antenna aimed at 0-30° azimuth.